ZAP-IT is simple to use. Hold or fasten it in the beam path at the point where the beam imprint is to be recorded. Pulse the laser and a permanent visual record is produced, corresponding to the energy distribution within the laser beam. If the laser being used is continuous wave (CW), create a short pulse by using a Q-switch, mechanical chopper, or by physically turning the laser on and off rapidly - use Zap-It laser paper with pulse-widths from 1ns to 30ms and pulse energy densities from 5mJ/cm^2 to 20J/cm^2. Note: For beam diameters less than 6.3mm it may be difficult to see the beam characteristics and the beam should be expanded. 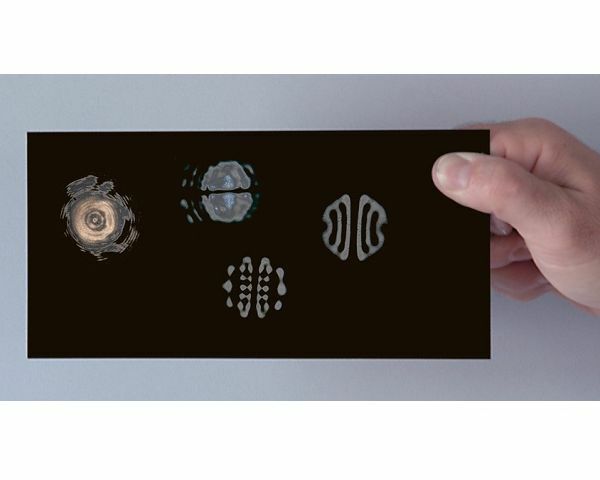 If using a planoconvex lens, locate the ZAP-IT paper at an image distance 2.5 x the focal length of the lens. Other paper sizes, sheets printed with grid lines or targets, and adhesive paper are available upon request. KEN-Zap-IT-HF. 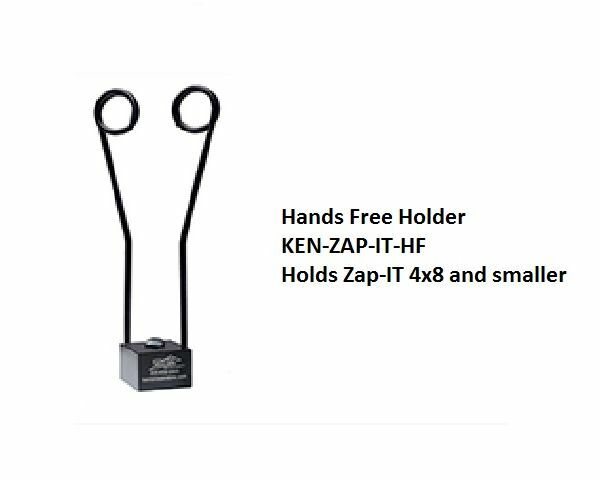 Hands free holder for ZAP-IT paper 4x8 inch or smaller.